From Amsterdam, take highway A4 direction Den Haag (The Hague) and then take A44 in direction Den Haag. Take exit 3 (Noordwijk, Noordwijkerhout), at roundabout turn right and keep following signs in direction Lisse. The Grandstand is situated close to the town centre. About 100 meters before the traffic lights to town centre, the grandstand is situated at your right hand. From Den Haag (The Hague) take highway A44. At exit 3 (Sassenheim/Noordwijkerhout), take exit ) at roundabout turn right and keep following signs in direction Lisse. The Grandstand is situated close to the town centre. About 100 meters before the traffic lights to town centre, the grandstand is situated at your right hand. De exit will be closed at 13.00 hours. If you booked a parking ticket, you can park your car behind the grandstand. The parking is accessible by taking the first exit (right) on the roundabout before the grandstand. See our parking map below. Please keep your confirmation mail at hand, so we avoid waiting lines. Sassenheim station is a small station on the line between the cities Leiden and Hoofddorp/Amsterdam. From this station the grandstand is at a distance of about 5 kilometers. From the station, take bus 50 to Haarlem, exit at bus stop “Engelenbuurt”. From there, it is about 1 km walk to the grandstand, just follow the road. The grandstand will be on your right hand. Leiden Central Station is well reachable from different destinations. In front of the station, next to the station square, bus 50 to Haarlem will bring you to busstop “Engelenbuurt”. From there, it is about 1 km walk to the grandstand, just follow the road. The grandstand will be on your right hand. Unfortunately, roads are blocked early as the Flower Parade attracts more then a million visitors each year. Therefore we advise to travel early, so our advise is to plan to be at the grandstand around 11.00. The Flower Parade is expected to pass the Grandstand at 15.00. 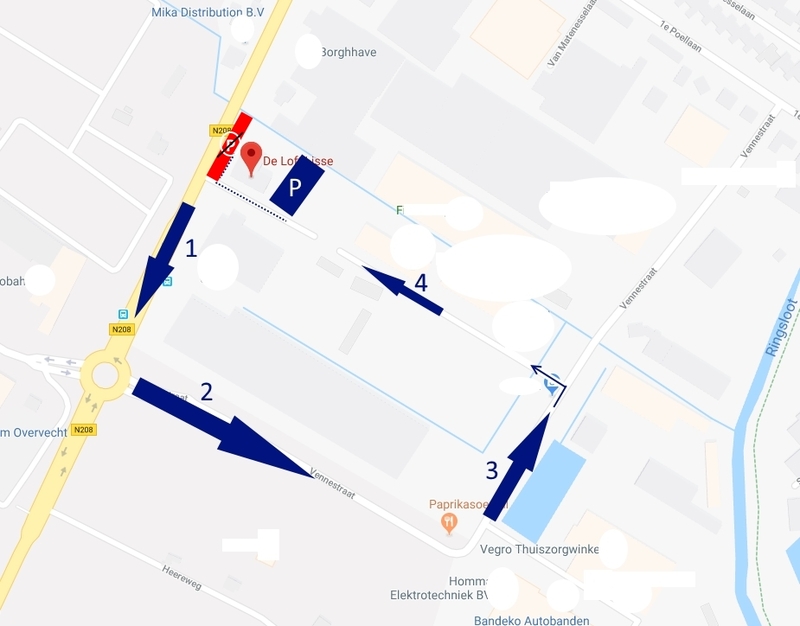 Road towards the grandstand will getting blocked by traffic jams, starting from 11.00. The roads gets officially blocked from 13.00, so from that time it is not possible to arrive at the grandstand with car. The walk and the lunch are both served from the Grandstand, so there is no additional travel needed. The guide will be in English and Dutch, and the Lunch starts around noon. Please keep your confirmation mail with you so we can avoid waiting lines.